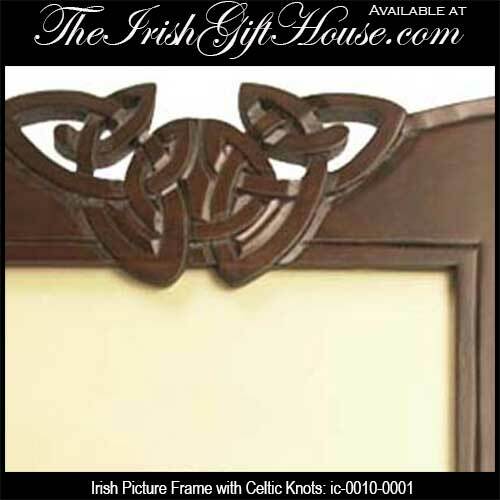 This Irish picture frame features a wooden design with Celtic knot-work and it would make a grand wedding gift. This Irish picture frame features carved wood that is enhanced with Trinity knots. The Celtic picture frame measures 13" wide x 17" tall and will hold a 8" wide x 10" tall photo. The Celtic photo frame is ready to hang or stand with the included easel and it may be used in either a landscape or portrait orientation. 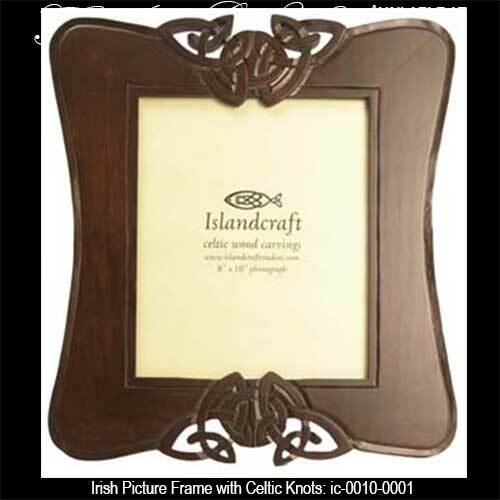 The wooden Irish picture frame is made in Ireland by Islandcraft and it is gift boxed with a Celtic knot history card that is complements of The Irish Gift House.